Many treatments with potential value in children have not been tested in paediatric populations. Incentives and penalties to encourage paediatric research are in place, but measuring disease symptoms and impact in children and infants can seem tough. Well designed and insightful patient-reported outcomes (PROs) or caregiver-reported outcomes provide a possible solution. In this article Linda Abetz-Webb, an expert in paediatric PRO development and Director at Mapi Values provides an overview of this area. The importance of paediatric indications and studies has long been overlooked by the pharmaceutical industry. This is in part due to the added complexities of paediatric research such as ethics, informed consent, and compliance. In addition, rapid developmental changes can make pharmacokinetic parameters, dose finding, efficacy, and tolerability harder to ascertain than in adults. Widespread off-label use is therefore common in paediatrics, with the potential for sub-optimal or non-evidence-based treatment in children, which can lead to negative consequences for children and their families. Regulations approved in 2007 by the FDA and EMA now require all products that could possibly be of value to paediatric populations (Figure 1) be tested in children through well-controlled and well-designed randomised clinical trials – a ‘stick’ approach. The alternative ‘carrot’ approach is that timely submission of paediatric data can garner a six-month exclusivity extension (for the adult indication), regardless of paediatric study outcomes, a significant financial incentive, especially in today’s world of looming patent expirations. In 2009 only 31% received a waiver. “Pediatric patients should be given medicines that have been properly evaluated for their use in the intended population” (FDA). Figure 1: Is the paediatric market really small? % of EMA approved active substances between 1995 and 2006 with a potential paediatric indication (N=258). Several illnesses begin in childhood, such as allergies, asthma, constipation, irritable bowel syndrome, hereditary angioedema, restless legs syndrome, epilepsy, attention deficit disorder and migraine. How are these children diagnosed / treated? What is the efficacy of treatments in paediatric populations? Are treatments cost effective in paediatrics? What is the treatment course over the long term as children survive severe conditions into adolescence and adulthood? Diagnosis, treatment decisions, and the monitoring of paediatric conditions rely heavily on parent and child reports of symptoms. Understanding exactly how the disease impacts the lives of both parent and child is an important consideration. Administering a daily medicine to a child who doesn’t want it can be a very stressful experience that impacts heavily on daily life, parent / child relationships and therefore adherence (whether a drug is taken as indicated or not). Lack of adherence not only affects the child’s outcomes, but impacts the realisation of product value and may decrease product uptake. In addition, reports of symptoms, impact (both child and parent), and satisfaction with treatment can provide information about the benefits of one treatment over others. When correctly identified, collected, and analysed, such parent and child reports of symptoms are increasingly being used to generate meaningful product claims, differentiate therapies, and help support market access plans. PROs form an important part of the evidence for a therapy, resulting in primary and key secondary endpoints when used appropriately in paediatric trials. Getting the best treatments approved, reimbursed and made available ultimately improves lives, and paediatrics represents an opportunity to change outcomes from an early age. To be meaningful, the methods used for capturing such information need to follow the appropriate guidelines for PRO measures, and it is important that paediatric PROs are truly tailored to the population in question. The FDA PRO Guidance states that while methods for the development of paediatric PROs are broadly consistent with those for adults, they also need to be developmentally appropriate and consider age differences. Developing paediatric screening and outcomes tools can therefore appear complex, though with the correct, well-informed approach, challenges can be overcome. An appreciation of the regulations alongside a solid understanding of family systems and children’s cognitive, emotional, motor, and social development is required. “It is important that PRO instruments developed for adults are not used in pediatric populations unless the measurement properties are similar in all groups tested” (FDA PRO Guidance, 2009). Based on good understanding of the population in question, tailoring of the usual PRO methodologies is necessary. These include literature reviews, child and parent interviews, concept elicitation, questionnaire development, cognitive debriefing interviews with children and parents, and psychometric validation. For younger children or for children who cannot answer for themselves, PRO questions must focus on behaviours that parents can observe, rather than internal health states that only the children themselves know about. It is important to assess the applicability of questions within narrow age bands, given a child’s rapid growth and development. Once the basic concepts around the disease and therapy are understood in this population, the PRO development should begin with the identification of target claims – ideally as part of an overall value proposition in this population. What do you want to be able to make a label or promotional claim about? 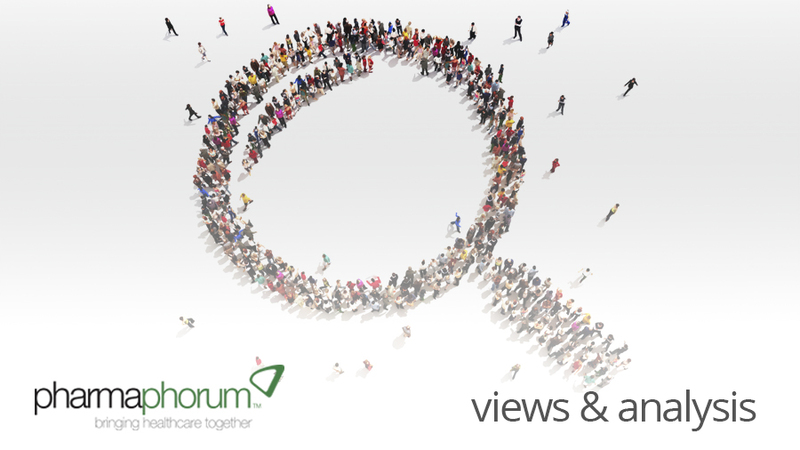 What matters most to patients, carers, and in today’s world, payers? Exploring the concepts most important to patients / parents and using their words to develop a fit for purpose PRO in this context will ensure mutual relevance and value. Variations may be needed for age groupings that differ developmentally. For example, concepts of relevance to the health-related quality of life associated with asthma in an 8- year -old might be very different to those of relevance to a 12-year-old. It is important to recognise that the development of such PROs takes time and careful planning – usually at least a year. Most existing paediatric PRO measures do not meet the PRO guidance, and as a result either remedial work or a total overhaul may be required, especially if label claims are the ambition. Working with experts in the field like can avoid expensive mistakes. What are your plans for paediatric PRO research? Start early! •	Are available instruments developmentally appropriate for the age ranges to be studied? •	Have instruments been developed with input from children with the specific condition, in the desired age range? •	Are the concepts measured relevant to the condition and its treatment across the age ranges? •	Are you using questions and answers that are easy for children to understand but have an adequate range of response options to be responsive to treatment? •	Can you pool data from across the age ranges if different questionnaires or respondents are used? Appropriate translation of questions, to ensure conceptual equivalence across cultures, is often used to facilitate the pooling of international trial data. If different age ranges are thought to be similar to different ‘cultures’ and conceptual equivalence can be demonstrated through qualitative and quantitative research, then pooling of paediatric data should also be acceptable. However, if questionnaires across the age ranges are not conceptually equivalent or use different responders, then larger sample sizes will be required within each age grouping to ensure adequate power. The time may have come for exploring healthcare interventions in children, given the incentives for doing so and the growing understanding of outcomes research – especially in regard to what it is feasible to ask children and parents with PRO measures. With the right techniques we are now better able to develop measures and design trials that generate robust data regarding treatment efficacy, acceptability, and cost effectiveness in paediatrics. Over time this knowledge will inform paediatric healthcare decisions at the patient, local, national, and international level, ultimately improving the lives of children and their parents. Linda Abetz-Webb is Director, PRO Europe for Mapi Values and leads their Paediatric Programme. She is a Paediatric PRO specialist with 20 years of experience of designing paediatric PRO strategies and developing screening, primary endpoint, daily impact and satisfaction tools for the pharmaceutical industry. Mapi Values is a global healthcare consultancy business with offices in the USA, UK, France, Netherlands and Japan. Their passionate people investigate and develop scientific evidence to understand the benefit of healthcare products and services to patients, clarifying and communicating the value to decision-makers. Has the time come for exploring healthcare interventions in children?